A long time ago, I offered a few thoughts on daily Scripture reading and even gave a few tips, such as using a Bible reading plan. I am currently working through a 52-week Bible reading plan that I downloaded online, but if I am being totally honest, I’m a bit behind on it. I did well for the first few months, but as graduation loomed near and final projects towered tall, I slacked off on my personal devotions. So, by the time my life settled down again and I got back into the habit of daily Bible reading, I was significantly behind. Since then (for about a month now) I have been trying to catch up on my Bible reading plan. And it’s been making me miserable. 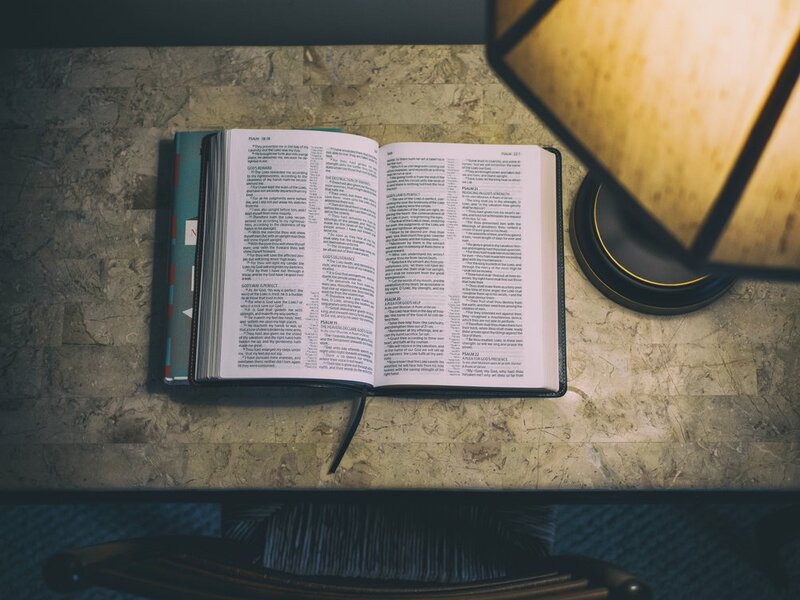 For a while, it seemed like every time I opened my Bible and subsequently, my reading plan, I was overwhelmed with a sense of failure and inadequacy. You were doing so well, why did you stop reading every day? Why are you so lazy? Just think about how much all those Reformed authors you love so much must read their Bibles! They would never get behind on a Bible-reading plan like this! What’s the point of this anyway? You’re so behind you’ll never get back on schedule, so you might as well just scrap the whole thing! Thoughts like that bombarded me for a long time. Some days I bought into them and didn’t read at all. Other days I fought through them and read to silence their accusations. Whether or not I read, one thing had become clear: I wasn’t enjoying reading my Bible anymore. And then it hit me yesterday. I hadn’t been reading my Bible to commune with God. I hadn’t been reading it to see what He had to say to me in His Word, or to meditate on the graces found within its pages. I hadn’t been reading it to enjoy Christ and all He offers. I had been reading it to – quite literally – check off a box. I had been reading my Bible to catch up on a plan, not to drink from the well of God’s grace within. Realizing this has freed me to enjoy my personal devotions for what they are – time with God that refreshes my soul and keeps me in communion with Him. I haven’t scrapped the plan entirely, but instead of constantly reading to catch up, now I am simply reading the assigned chapters for that date and as time allows, I am going back to catch up on what I fell behind on. Maybe you’re in a similar place – it’s June and we’re almost halfway through the year – and you have fallen behind on your Bible reading plan. Or maybe you didn’t start the year with a plan, but you’re feeling guilty that you haven’t been reading as much as you know you should. Don’t let that stop you from drinking from the Word! Whether you are way behind on a plan, right on schedule with one, or you haven’t picked up your Bible in weeks, sit down today and open God’s Word. It is just one of the means of grace God has provided us with to grow in holiness. Read until you can say with the Psalmist, “How I love your instruction! It is my meditation all day long” (Ps. 119:97 CSB). How has your personal time with God and His Word been lately? Do you utilize a Bible plan in your reading? Has it helped or hindered you in daily communion with God? Let me know in the comments below, or hit me up on Facebook or Twitter! And don't forget to hit that subscribe button below, you'll get posts like these delivered right to your inbox every week (usually)!